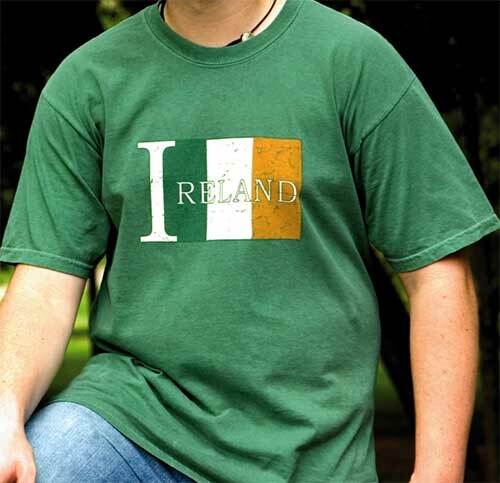 This Irish t-shirt is a great way to show your Irish pride. 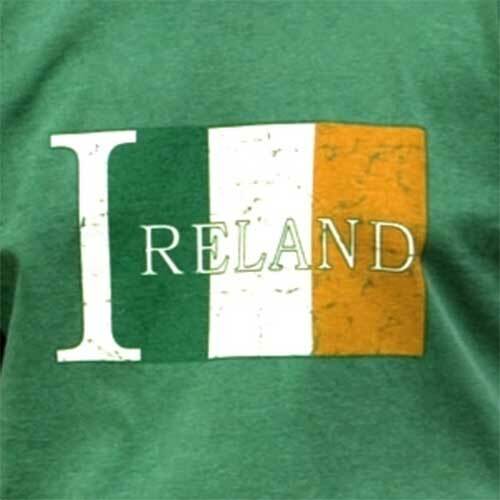 The word Ireland is superimposed across the tricolor flag on this pre-shrunk cotton, pigment dyed, dorm green color Irish t-shirt. Gently weather for that favorite shirt feel, this Irish flag t-shirt has a cover seam stitched collar and double stitch hems. This design is available from The Irish Gift House in adult sizes small through XXL.